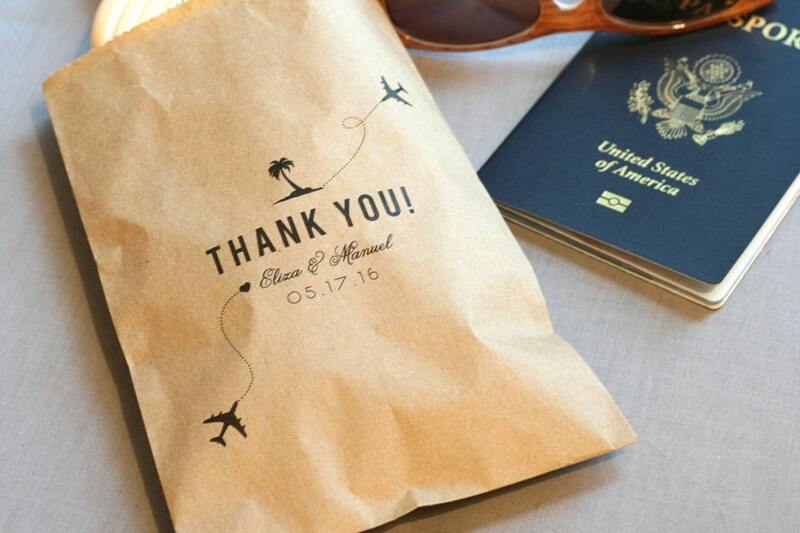 Cute favor bags for destination weddings! Personalize it with your names / dates! You'll receive printed, flat, unstuffed bags. Adorn them with your own ribbon, lace, or washi tape! Or purchase my custom printed stickers! Pictured is Kraft...plain white or striped kraft are also available! All designs are printed in black ink unless otherwise noted in a previous convo. Please check with me before ordering if you have a question about ink colors.